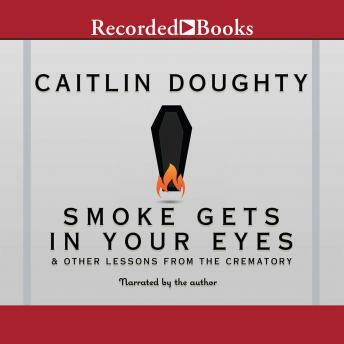 Most people want to avoid thinking about death, but Caitlin Doughty – a twenty-something with a degree in medieval history and a flair for the macabre – took a job at a crematory, turning morbid curiosity into her life’s work. With an original voice that combines fearless curiosity and mordant wit, Caitlin tells an unusual coming-of-age story full of bizarre encounters, gallows humor, and vivid characters (both living and very dead). Describing how she swept ashes from the machines (and sometimes onto her clothes), and cared for bodies of all shapes and sizes, Caitlin becomes an intrepid explorer in the world of the deceased. Her eye-opening memoir shows how our fear of dying warps our culture and society, and she calls for better ways of dealing with death (and our dead). In the spirit of her popular Web series, “Ask a Mortician,” Caitlin’s engaging narrative style makes this otherwise scary topic both approachable and profound. “America’s (kinda dark) sweetheart” (Huffington Post)Caitlin Doughty, the host and creator of the “Ask a Mortician” Web series and the collective Order of the Good Death, is on a mission to change the way we think about death. I love listening to her experiences and I have learnt so much from Caitlin. I appreciate her sense of humour, and I feel she has an inept ability to describe her experiences and form vivid images of her work. Excellent! An excellent mix of personal experience and history. I love how Caitlin talks as is (I watch her YouTube series) and she didn't disappoint while narrating. So proud of her!